“I’m sorry,” Miranda sobbed, before another scream sounded her next contraction. “No need,” I replied cheerfully. I found myself singing under my breath. I lifted my voice a little so she might hear the soothing song, too. After all, it can’t hurt. She’s in enough pain already. A wail heralded another contraction, Miranda’s panicked panting punctuating the time between. I glanced at my watch. Five minutes. With the contractions so close, the next one should hit just as we get there. I braked carefully as we reached the ambulance entrance, the sound drowned in Miranda’s deep groan. I threw myself out of my door and pelted to hers. “EMERGENCY. I NEED A WHEELCHAIR!” I bellowed as a stricken-looking ward clerk appeared at the door. “Yes, Belinda,” Helen replied smartly, vanishing back inside. She returned in a moment with the small hospital’s only wheelchair, angling it perfectly to catch Miranda as I levered her out of the car. Helen pursed her lips at the sight of blood in the back seat of my car, but she said nothing. I passed her my keys as I took hold of the wheelchair. “Can you take care of my car, Helen?” I asked brightly, already rolling Miranda inside. With the help of a sleepy orderly named Rob, I quickly ensconced Miranda in a birthing suite, her wail rising as another contraction hit her. “Where’s Jill?” I asked Rob, before he left the room. Miranda let out another hoarse scream. “And get someone to call her husband. He’s up in Perth this week, I believe – tell him we’ll have her flown up to King Edward Memorial Hospital as soon as we can. Call the Flying Doctors for transport, too.” I looked at Miranda, straining through another contraction. Rob hurried out, leaving us alone. “Just you and me, Miranda,” I said softly. Not wanting to believe her, I examined her as quickly as I could. She was almost fully dilated. There would be two patients for transport, not one. And it’s up to me to make sure they survive. 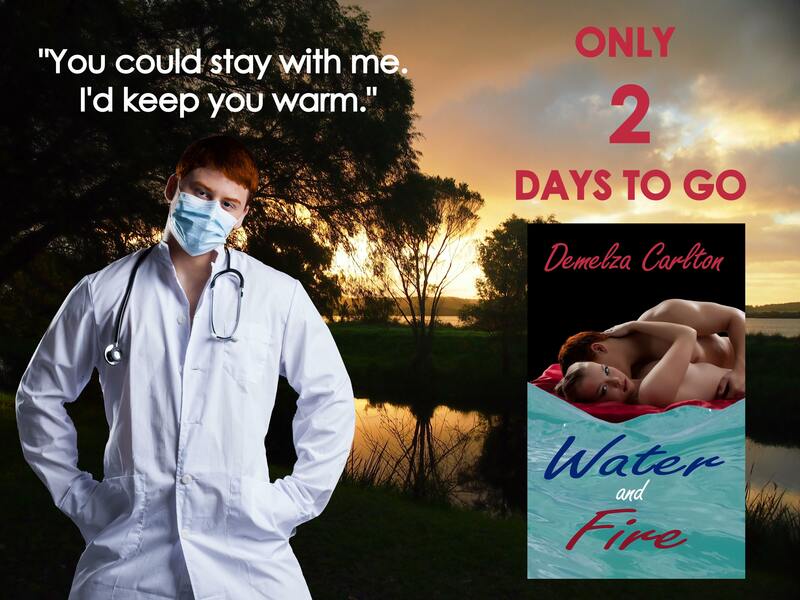 The ebook of Water and Fire is available from Amazon, Apple, Barnes and Noble, Diesel, Kobo and Smashwords.